The Simon Snow novels have taken the world by storm. Teenagers the world over have collected memorabilia and more, immortalizing their hero and his adventures in their hearts. Cath and her twin sister are no different, they have loved the Simon Snow books their entire lives. When they go to college, Wren slowly drifts away from the fandom and from Cath. However, Cath cannot let her affections for the fandom disappear, and she has to come to terms with it or her life will be a mix of escapism and reality, with no satisfaction in either medium. Populated with all the characters anyone who has been through college will recognize, this book tells Cath's story and how she finds internet fandom through fan-fiction and how she finds, among other things, love. 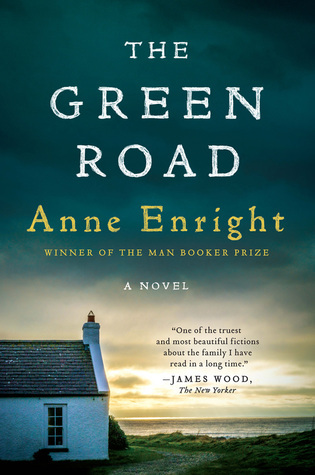 From internationally acclaimed author Anne Enright comes a shattering novel set in a small town on Ireland's Atlantic coast. The Green Road is a tale of family and fracture, compassion and selfishness—a book about the gaps in the human heart and how we strive to fill them.